things that shine: Happy Valentine's Day: spread the love give-away! Happy Valentine's Day: spread the love give-away! 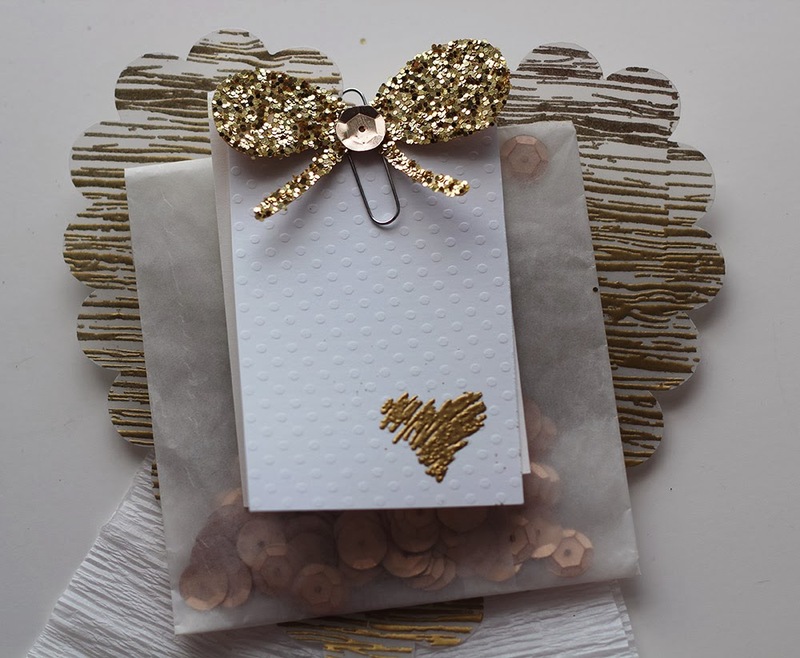 And because I think everyone can always use just a little treat, today I'm offering a give away of two little Valentine embellishment packs... I'll draw two winners and send one to each of you. Let me know which of the two you'd prefer and I'll try to make sure each winner gets the little treat she'd like! First... lots of gold here! There's a little tag embossed in gold with a sketched heart, some gold sequins, and a gold woodgrain vellum heart made by me! Just for you. :) It's all topped off with a gold glitter bow. Next up, pink! 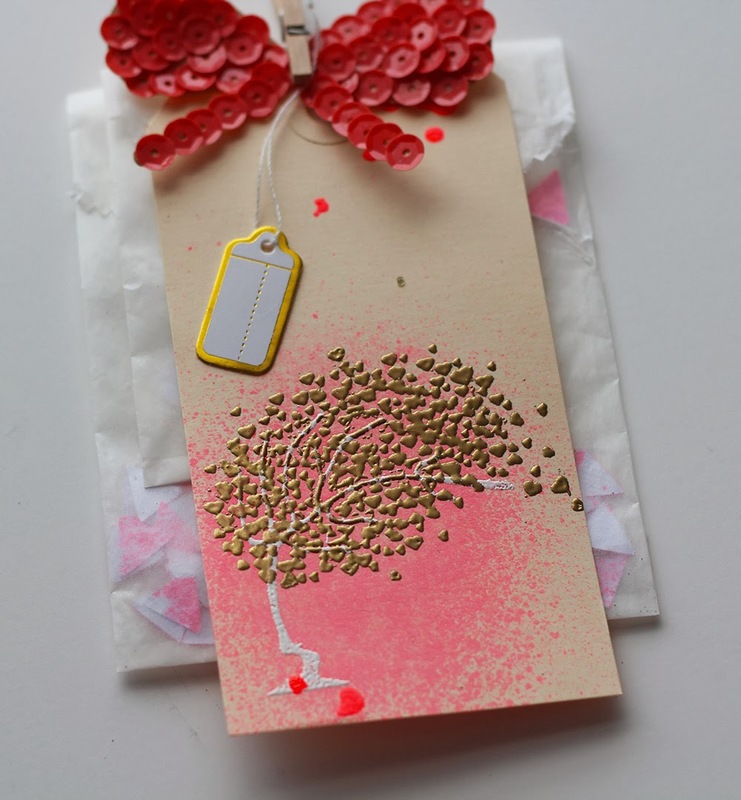 A heart tree is embossed over a neon pink misted tag... topped with a hot pink sequin bow -- also made by me, just for you! A gold foil tag adds just a bit more gold. And there's a little baggie of neon pink triangle confettis. So let me know which heart is for you.... gold, or pink! Leave me a comment for an entry to win a lovely embellishment pack of your choice. AND, Pin one (or both!) of these images and leave a comment saying you Pinned for an extra entry! Contest is open over the weekend, I'll draw and announce a winner on Monday! (February 17th). It'd be the pink for me - love all things neon. The gold really looks awesome! Both are lovely, but I am a true "golden girl"
These are so sweet!!! I love them both, but gold is winning for me right now. :-) Thank you so much for the chance!!! This is so nice of you! I would love the gold package as I really don't have much gold in my stash! Ashley.....the gold one, definitely! thank you for the inspiration too!